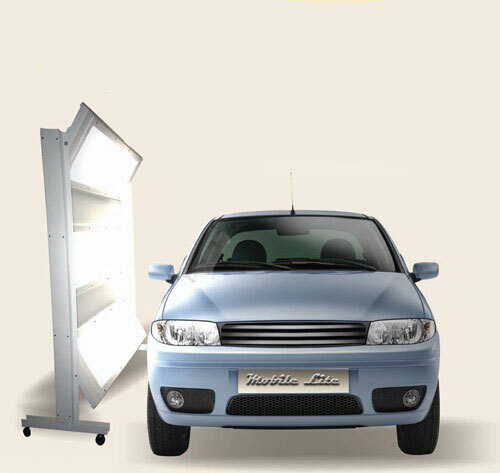 Mobile Lite gives paint booth quality lighting outside of the paint booth turning transitional spaces in to vehicle inspection areas. Take the inspection outside of the booth and free-up valuable production space. Mobile Lite comes complete with 12 T-8 color corrected fluorescent tubes, 30 ft. retractable cord, and castors for easy mobility. Powder-coated galvanized steel provides the ultimate in durability. Dimensions: 50"W x 74"H x 24"D Not for use inside a paint booth.